Be the first to share your favorite memory, photo or story of Mildren Gladys. This memorial page is dedicated for family, friends and future generations to celebrate the life of their loved one. Mildred Gladys Beard, 95, formerly of Gettysburg passed away Monday, April 8, 2019 at SpiriTrust at Utz Terrace, Hanover, PA.
She was born July 25, 1923 in Adams County, PA the daughter of the late George and Zula Miller Himes. Mildred was predeceased by her husband, James H. Beard and her infant son, Larry Eugene Beard. Mrs. Beard was a member of St. James Lutheran Church. For many years she was a Mail Transporter for the U.S. Postal Service. Mildred was predeceased by her three sisters; Hilda Cool, Betty Jane Kyle, Grace Emlet and her brother, Roy Himes. Funeral services will be held 2:00 PM, Friday, April 12, 2019 at the Monahan Funeral Home, 125 Carlisle St., Gettysburg, PA with Rev. Michael Allwein officiating. Interment will be in Evergreen Cemetery. There will be a viewing at the funeral home on Friday afternoon from 1:00 PM until the time of the service. 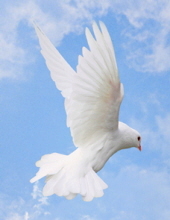 Online obituary and condolences available at monahanfuneralhome.com. "Email Address" would like to share the life celebration of Mildren Gladys Beard. Click on the "link" to go to share a favorite memory or leave a condolence message for the family.